What do we call Emerging Markets? Emerging markets is a broad term, often automatically associated with the large “BRICS” countries Brazil, Russia, India, China and South-Africa. FMO’s investment activities span a much wider universe and increasingly cover frontier emerging markets. These frontier markets have good growth prospects and suffer less from the volatility of global capital flows. Since its inception in 1970 FMO has been active in a broad range of countries around the world. FMO is on average active in more than 85 countries. Since 2009, FMO does not pursue new investments in Russia, Kazakhstan, Brazil and Mexico. Our fastest growing regions are Africa and South-East Asia. Investing in only a few emerging markets may bring along risks that broad diversification may counter. That is why FMO’s portfolio is spread out on average over more than 85 countries. A much wider spread than any of the current emerging market indices can offer. Above is the portfolio of FMO spread over the world as per the year end of 2015. The expertise and knowledge that FMO has gained over the years is taken into account with every investment made. 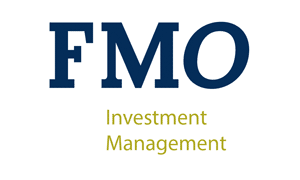 FMO Investment Management as an investment firm offers access to investments to qualified or professional investors through fund propositions developed with partners. This allows investors to benefit from FMO’s experience, network and expertise. Those who build good businesses understand that markets will fluctuate, but good businesses will thrive. Good businesses incorporate good environmental, social and corporate governance practices into their business models. They see and seize the business opportunities these elements bring. They act and invest responsibly and are sustainable in the long run, both financially and otherwise. FMO actively engages its borrowers and investee companies and challenges them to go the extra mile. Through this business model risks are mitigated and results are improved.